In general, everyone agrees that the future belongs to the electric vehicle. However, it will be some time before this technology reaches the mass market and the forecasts of various research institutions agree. For example, the market analysts at the major U.S. bank J.P. Morgan published a study at the end of 2018 suggesting that worldwide sales of electric vehicles (EVs) will rise to 8.4 million units by 2025, or 7.7 percent of the total market. But by then, hybrid concepts are expected to play a much more important role with sales figures almost three times as high. The study estimates that by 2025, there will be 25 million vehicles equipped with both an internal combustion engine as well as an electric motor. This would correspond to a market share of 23 percent. And even by 2030, experts still expect that slightly more than twice as many hybrids will be sold than compared to vehicles with purely electric drives. ZF has been pushing the development of hybrid drives forward for years. As a result, the ZF product portfolio contains many solutions. The company pursues a modular approach, which enables automotive manufacturers to make their vehicles into hybrids while minimizing the effort required for conversion. ZF developed the 8-speed automatic transmission for hybrid applications especially with parallel hybrid systems in mind, in which the combustion engine and electric motor work together on the vehicle's driveline. In systems for mild hybrid drives, the electric motor provides up to 15 kilowatts of power at torques of over 200 newton meters. This means that the additional torque of the electric motor provides support upon acceleration. This is also known as an electric "boost". In addition, the electric motor enables operation with automatic engine stop. Thanks to the electric support, the combustion engine runs in its optimal efficiency range during driving. This reduces fuel consumption and CO2 emissions. Full hybrid systems even offer the advantage of being able to cover short distances solely using electric power, with zero emissions locally. A separating clutch is therefore built into the full hybrid variant of the 8-speed automatic transmission, between the combustion engine and the electric motor. This disengages the combustion engine for these operating phases. Plug-in hybrid systems with a powerful battery also offer vehicle owners the option of charging their vehicles externally. This enables the vehicle to cover greater distances using electric power alone. 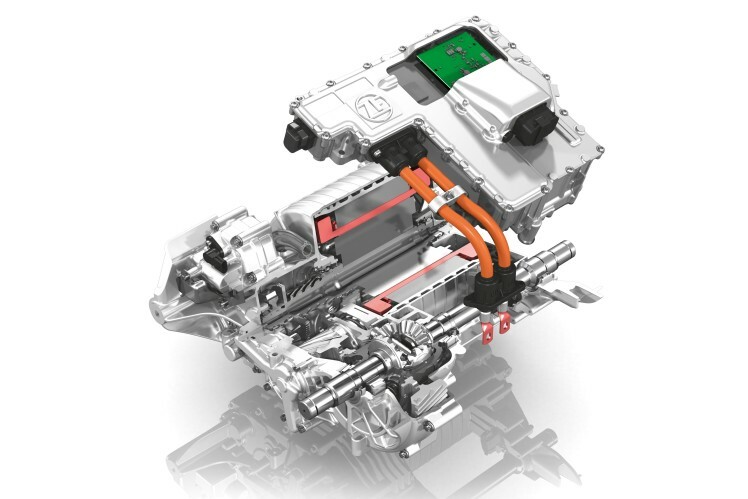 This highly integrated complete system, named by ZF as “EVplus”, consists of a transmission, hybrid module and power electronics. The electric motor provides 90 kilowatts (122 HP) at a torque of 250 newton meters. all-electric vehicles are to be sold worldwide in 2025, according to estimates by analysts at the major US bank J.P. Morgan. 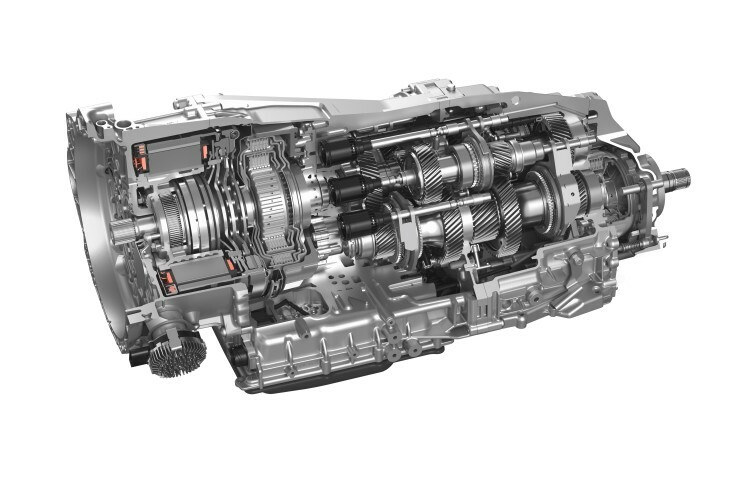 In the new 8-speed dual clutch transmission, ZF has created a flexible modular system especially for front-wheel drives with longitudinal engines, for all-wheel drives and for hybrid drives that reduce gasoline consumption and emissions. Automotive manufacturers can therefore provide their vehicle platforms featuring different drive concepts. 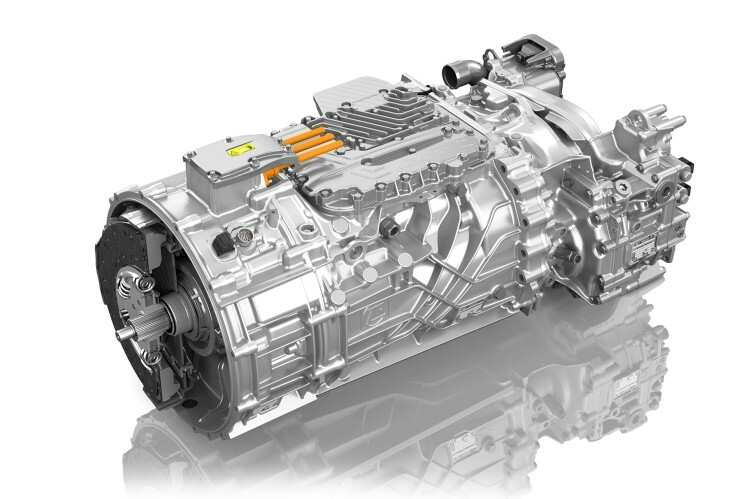 A highly economical alternative, in terms of weight, installation space and cost, is the axle hybrid concept with an automated manual transmission from ZF, for vehicles with combustion-engine powered front-wheel drives. The rear axle of the vehicle is fitted with an electric axle drive system. Both drives are linked and communicate with each other. Electrification enables hybrid functions such as boost and recuperation, as well as shifting gears without tractive force interruption, made possible by the support provided by the electric motor. At the push of a button, the driver gets a permanent all-wheel drive function or a purely electric propulsion system. The new 8-speed dual clutch transmission from ZF is a flexible modular system specially designed for front-wheel drives with longitudinal engines as well as all-wheel drives and hybrid drives. For hybrids with electrified automated manual transmissions (eAMT), an electric axle drive is integrated into the rear axle. In addition to full hybrid functions, this also provides an all-wheel drive. The modern TraXon hybrid transmission system enables electric or electrically supported driving for heavy commercial vehicles weighing up to 40 tons as well as for buses. This electric portal axle with an integrated electric wheel hub drive is called AxTrax AVE. AxTrax AVE is perfect for all-electric buses and buses with hybrid drives. If existing transmission architectures need to be hybridized, then the hybrid module from ZF is the perfect choice. ZF has created the hybrid module to provide an assembly that is perfectly harmonized, consisting of an electric motor, torsional dampers and a wet clutch for mild hybrid, full hybrid and plug-in hybrid applications. Integrating it into the architecture is a piece of cake, which minimizes the work engineers have to carry out at automotive manufacturers. 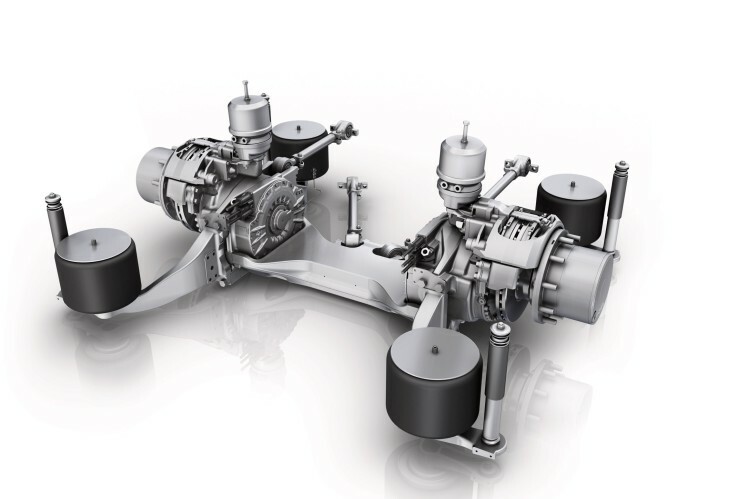 With the TraXon transmission system , ZF is targeting heavy commercial vehicles weighing up to 40 tons and buses. In combination with a high-performance hybrid module, this concept enables electrically supported and even all-electric driving. The combustion engine can be switched off in city centers or in halls, resulting in local zero emissions and significantly reduced noise emissions. The interaction of the combustion engine and the electric motor increases the vehicle's efficiency. With an eye to city buses, ZF has brought out the AxTrax AVE electric portal axle, incorporating two wheel-hub motors, each capable of outputting 125 kilowatts. This electric portal axle offers a high degree of freedom in the choice of energy supply: purely electric drive with energy from battery, fuel cell or trolley line is possible, as is, of course, the combination with a combustion engine. ZF covers the entire spectrum of drive technology with its broad, modular-structured program of hybrid systems for vehicles, from passenger cars to heavy trucks, ensuring that drivers are gifted with clean and efficient mobility.